We are often asked if it is appropriate for sponsors to send a letter directly to their sponsored student(s). The answer is a resounding yes! The children love to hear from you and very much appreciate receiving personal notes from their sponsors. What about a gift? This process has evolved over the years and we have come to the conclusion that equity in the gift receiving process is very important to our students. To that end, we will be providing pre-made gift bags to all of our sponsored students. We will be asking all of our sponsrs to underwrite their student(s) gift bag and consider underwriting additional bags for students who do not have a one-to-one sponsor. 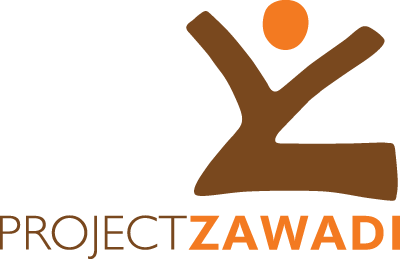 Each January, Project Zawadi visits Nyamuswa village to do an annual site visit. This visit corresponds to the beginning of the new Tanzanian school year and Distribution Day events where students gather to receive their school uniforms, books and supplies. 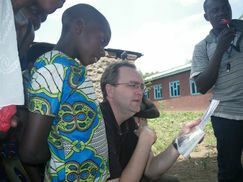 This year, Brian, our Program Founder and President, will be visiting the village for Distribution Day. Brian is happy to carry with him and hand deliver a personal letter and/or photos from sponsors to their sponsored student(s). We invite all sponsors to take advantage of this opportunity to send a personal note to compliment the pre-made gift bags. STEP 1: Decide if you would like to underwrite a pre-made gift bag for your student(s) ($5 per gift bag) and/or send a personal letter. STEP 2: Please mail your student letter and/or gift bag payment by Monday, January 8. Print out this form to underwrite gift bags and send with your letter(s). STEP 3: Spread the love. Feel free to purchase extra gift bags for students who do not have a one-to-one sponsor. PPS. If you are a new sponsor and haven’t yet been assigned a student, we will be contacting you soon with new student information.